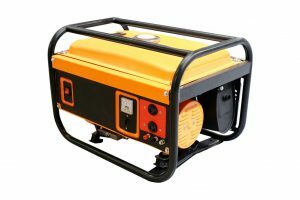 When there is a power outage because of a storm or equipment failure, some homes and businesses rely on their generators for electricity. However, generators use too much fossil fuel and emit exhaust, which is toxic for the environment and human health. Fortunately, there is a better and cleaner alternative source of power that they can use, which is an inverter generator. 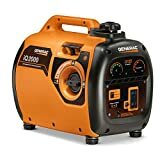 This latest development was introduced more than a decade ago, utilizing the power of a generator and an inverter in one smaller and lighter machine that you can take anywhere. For this reason, some manufacturers describe them as portable inverter generators. 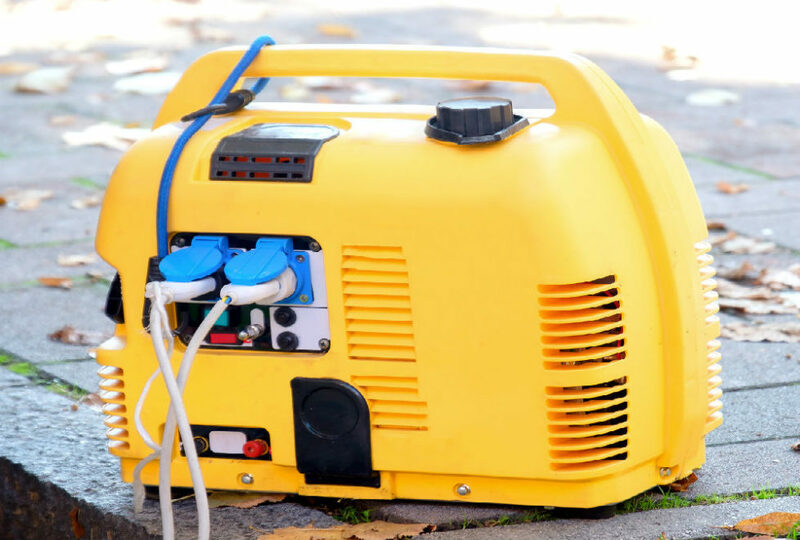 Choosing the right portable inverter generator is not an easy feat. 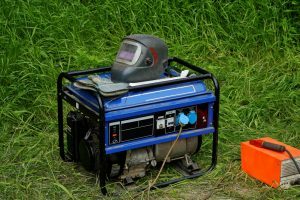 Although it is common knowledge that this machine is safer than generators, it still best to consider certain features to ensure overall safety. 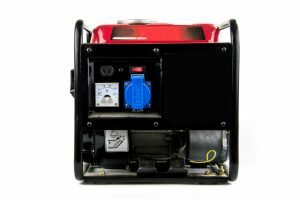 For you to learn what these important features are, you should first know how inverter generators are different from a generator and an inverter, how it works, and why it is a better choice. In this article, you will also learn the answer to the questions: Do you really need this particular type of inverter generator? How do you know which one will be the best for your home, RV, campsite, or boat? In layman’s terminology, these three power supply terms are often used interchangeably. They either say inverter or generator, when they are actually referring to an inverter generator. Well, you cannot really blame them because even manufacturers of inverter generators often clip the whole terminology. So aside from the names, how are they different from each other? You will notice that the main difference between the three are the processes or method they use to supply power. A conventional generator does not have the capacity to create electricity, but it does cause the flow of electricity. To produce AC power, it needs fossil fuel or an energy source like gasoline or propane. Sometimes they also use diesel as their energy source. Following a mechanical principle called electromagnetic induction, the generator uses a motor to produce AC power. The motor must run at the speed of 3,600 rpm so that the power can be available for consumption of your electronic devices that require 120 volts. 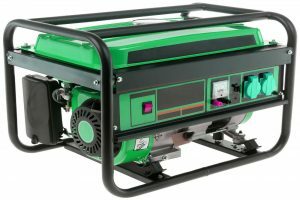 In the creation of a conventional generator, size does not matter because they are commonly used to power up the whole household or the entire business. That is why they are huge machines that need a large amount of fossil fuel. Therefore, the tendency is that they emit harmful exhaust that harms the environment. They also tend to be loud while operating. Unlike a generator, inverters convert the DC power coming from a fixed source to AC power. The usual source would be a car battery or a solar panel. Aside from this, an inverter is also capable of producing AC power at any voltage and frequency provided that you have the right equipment. 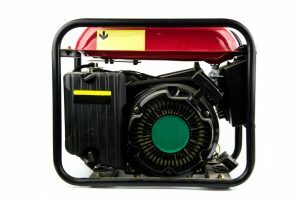 An inverter generator, on the other hand, needs both a generator and an inverter to produce a clean and safe AC power. It needs to consume fuel to run a motor and produce AC power. However, that AC power cannot be directly used for your household items. Therefore, it should be converted first to DC power and inverted back to AC power using an inverter module. Only then will you be able to utilize the electricity (with a single phase and sine wave) for your electronic gadgets even if it is a medical apparatus. These are all made possible because of the advanced electronic circuitry including high-tech magnets present in an inverter generator. The developers are able to take size, weight, and noise into account when they created this lightweight inverter generator. That is why this new breed is smaller, lighter, and less noisy. They chose quieter engines and sound-dampening technology so that the noise is at the lowest level. On the other hand, you cannot expect a smaller-than-usual market standard inverter generator to supply power for the whole household. Their average running time is only 8 hours, or 4 hours in full-capacity mode. Most models have a range of 1,000 to 4.000 watts. 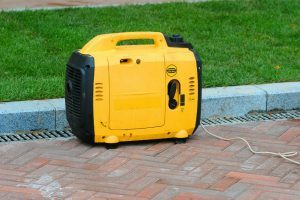 When do you need a portable inverter generator? If an inverter generator cannot supply power for all of your electrical appliances, then why should you buy one? Emergencies can come at the most unexpected time and place. And often during these times, you need to think and act fast. During this case, having a backup supply of electricity that is easy to carry anywhere is better. The inverter generator might not be able to power your entire kitchen, but it can produce electricity for your electric stove or kettle right there and then. What’s more is that you do not need to worry about power surges because they are safe for your sensitive electronics. Aside from this, you can also benefit from this when you are at the campsite or on a boat. Simply plug in your laptop, phones, and other devices so that you can keep yourself connected wherever you are. 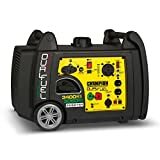 What are the Best Portable Inverter Generators on the Market? 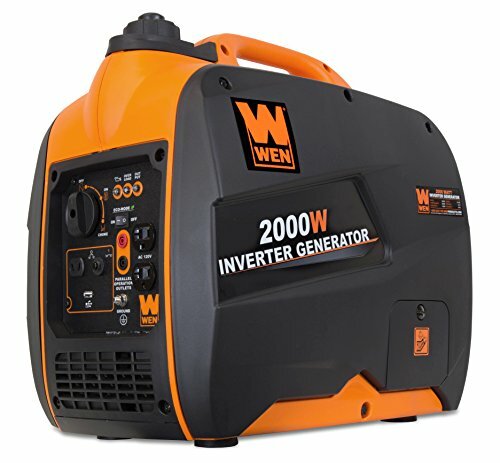 One of the favorite portable inverter generators under the 2,000-watt category is the WEN 56200i Super Quiet 2000-Watt Portable Inverter Generator. And that is not only because it is more affordable than the leading brand, but also because of its outstanding performance. 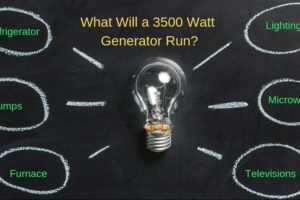 When it says that it will provide 1,600 rate watts and 2,000 peak watts, rest assured that it will stick to its promise, which is a major problem with the other brands. You can also trust that the electricity will be high-quality with a pure sine wave that is safe for sensitive laptops, smartphones, and other electronics. Not all inverter generators are as quiet as this unit. In fact, this one operates at around 51 decibels when it is at a quarter load. What makes this a better choice is its ECO-mode. This feature automatically allows the motor to adjust the consumption of fuel according to what is demanded so that fuel, as well as energy, is saved. The unit is also ready for parallel connection, provided that you buy the connector. 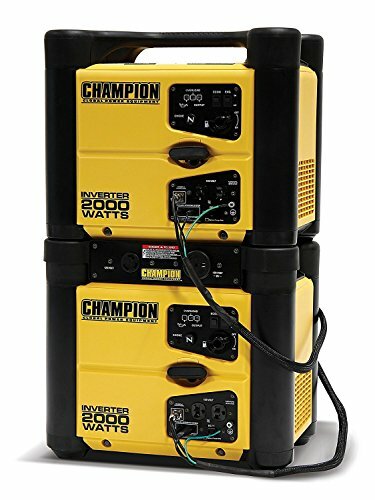 So if you need more than 2,000 watts of power, simply link two inverter generators together through the parallel connection ports. With two 120V receptacles, one 12V DC receptacle, and a 5V USB port, you can charge your gadgets or power up your electronics in the kitchen or living room. 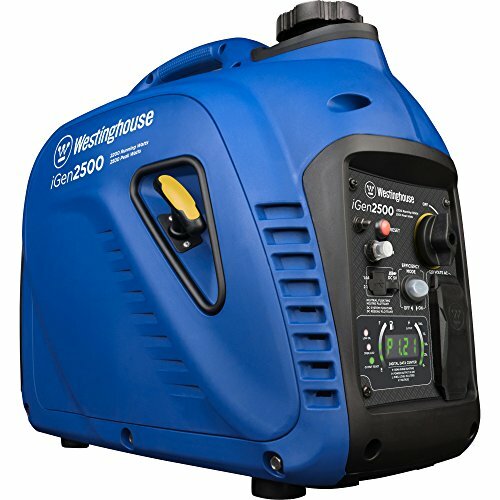 Another inexpensive option on the market that is applauded for its innovative technology is the Westinghouse iGen2200 Portable Inverter Generator. Created by a trusted manufacturer, rest assured that this model will withstand the rigors of the environment. You can expect to use it for home use in the coming years. Like the leading brands on the market, its features are effective and reliable in supplying on-demand power for your gadgets, increasing the value for money. 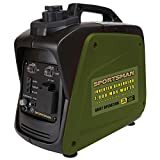 Great for household use, camping sites and tailgating, this inverter generator is surely an essential power supply back up. Aside from this, the unit is guaranteed safe for all kinds of devices, protecting them from a power surge. In fact, the power it supplies has less than 3% THD. Meanwhile, this unit features two 5V USB ports where you can easily plug in your tablet and smartphones. Of course, it accommodates bigger appliances through its 120V duplex outlet. The maximum capacity of this equipment is higher than the other brands. It provides 2,200 surge watts while its rate watts is 1,800. When operating at half load, there is no disturbing sound that will annoy your hearing. This is all thanks to the mufflers and cooling fans that reduce the noise while the equipment is in use. Aside from this, it also maximizes fuel efficiency that no traditional generator can do. 1.2 gallons of fuel can run as long as 10 hours at 25% load. 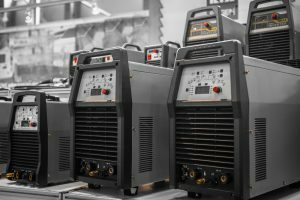 There is no wonder that the best among the compact and lightweight inverter generators come from the brand that started it all. The Honda EU2000I remains unbeatable despite its simple and straightforward design. It continues to be a favorite brand mainly because of its a proven track record of excellence and reliability. 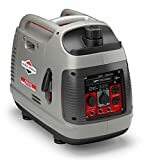 Many companies have created their own versions of inverter generators, but this one is still the quietest one on the market today. With its 98.5cc GX100 engine, not only will it produce clean and safe electricity, but also provide the required voltage and frequency of your home appliances and gadgets. Thus, it is better at protecting them from being damaged due to a power surge. 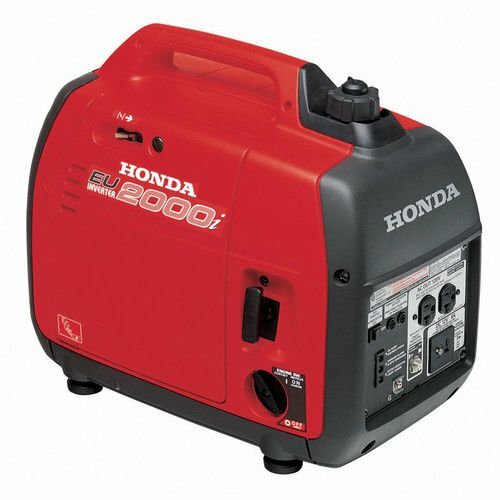 Further, the big engine is more capable of handling loads that go beyond 1,000 watts. The unit gives 2,000 watts at peak power and will continue to power up devices at 1600 watts. 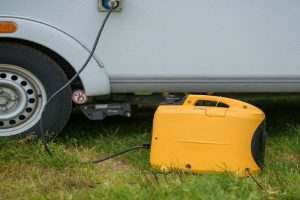 For this reason, it is a popular inverter generator used in campsites, tailgating, and more. The inverter generator is also known for being lightweight, weighing only 46 lbs. It has a convenient carrying handle so you can transport it easily anywhere you need electricity. Add to the AC output is the 30V output for directly hooking up of RVs. And if you have a parallel connector, you can even double the power. If you want to save energy and fuel, turn on the Eco-Throttle System mode and you will get 3.4 hours to 8.1 hours on a single tank. Lastly, this product comes complete with a 3-year solid manufacturer’s warranty. Portable inverter generators are known to be more affordable than conventional generators. But nothing is as cheap and powerful as the Champion Power Equipment 73536i. Its price is much lower than the leading brands, but its performance is very close to them. It is unique in its own way because of its stackable design that is an ultimate space saver. It also has a carrying handle that allows you to transport the whole unit with ease. Whether you are using it at home or at the campsite, taking it along it won’t be a trouble. In fact, it is so lightweight at 50 lbs. that you can consider using it on your boat. Aside from portability, people also like its quiet operation at 53 decibels. Place the unit 20 feet or more away from you and you will barely hear any noise. Like other portable inverter generators, the maximum power capacity of this unit is 2,000 watts while its rate watts is 1,700. Depending on the equipment you are charging, you will be able to maximize its use for 9.5 hours, especially if you turn on the Smart Economy Mode. You can plug in your household appliance into the 120V 20A outlets or charge your battery in 12V DC outlet. What more is that this brand has an easy-to-pull recoil start. Even if its winter time, you won’t find it hard to jumpstart its motor. 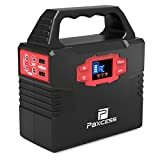 Among the five highly recommended portable inverter generators in this list, the PAXCESS 100-Watt Portable Generator Power Inverter is the most unique. It is the best at being environment friendly and travel friendly because of its innovative design. Instead of using fossil fuels, it harnesses the power of the sun to create or convert energy into electricity. It is a solar generator that is gas free and noise free, too, so you can say that it is the quietest inverter generator on the market. Aside from that, it is also the smallest and the lightest for it only weigh 3.3 lbs. 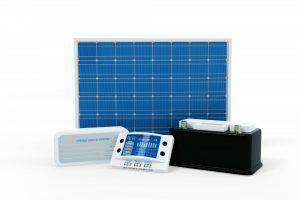 What if you do not have a solar panel or there is no sun to get solar energy from? Don’t worry, you can still charge this unit in two ways. One is to plug it into a wall outlet of 8 hours or your vehicle’s 12V adapter. Every important accessory such as the AC adapter, car charger cable, and socket adapter, are included upon purchase, saving you from having to make additional purchases. This unit offers a variety of ways to charge or power up your electronics that need charging. It has three 12V DC ports, two 110V AC outlet inverters, and two USB ports. Whether you need to use your laptop, smartphone, or TV, the high-capacity 40800 mAh lithium ion power pack is sure to provide the required power. What’s more is that it has a battery management system that ensures voltage and temperature are at the right level to further protect you and your electronics. Very lightweight at 3.3 lbs. All of the small-scale inverter generator brands included on the list are recommended for a variety of reasons. 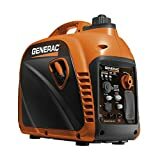 Some of them provide more value for your money because of their advanced features and inexpensive price, while others are trusted because of their high-quality material and a motor that lasts for years. Inverter generators are great because they are very instrumental in times of emergency; because you never know when such situations will happen, it is better to choose a unit that is durable, reliable, and easily starts when you need it.